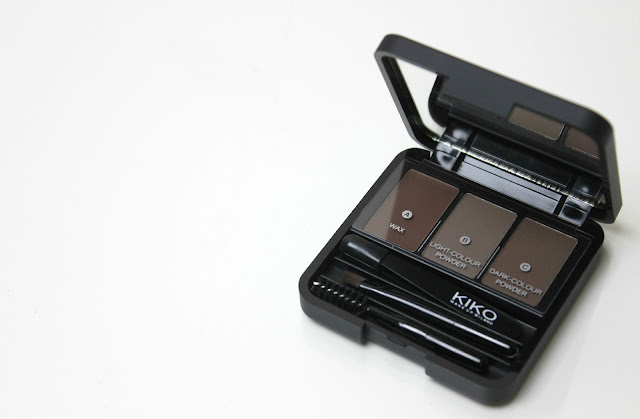 The KIKO Eyebrow Expert Styling Kit is a very handy lightweight and travel friendly kit which contains all the products and tools you need to do your brows. It's available in two shade variations, 01 which is aimed at darker hair whilst 02 is better suited to fairer hair colours and red heads. I always go for the darker option with eyebrow kits, as my hair is naturally black. Inside the kit there's a fab little compact mirror, which is really handy for travelling and on-the-go, as well as three tools to make not only doing your brows, but keeping them in your desired shape and style super easy. There's a pair of mini tweezers, an applicator brush and a spooley. There's a brow wax alongside two powders; a light-colour powder and a dark-colour powder. None of the shades are very intense pigmentation wise; the colour pay-off is definitely there, it's just not as dark as I usually opt for. That actually works in the kits favour though, as it makes it virtually impossible to overdo your brows with this little kit, and amazingly easy to create a really natural brow look. The formula of both the wax and powder products are really lovely to work with. There's no fallout with the powders and the wax is just the right consistency to apply with ease. Longevity wise both last pretty well throughout the day and I've not had any problems with smudging or budging, even on the hottest of days we've been lucky to get this summer. The shades are, even for the darker of the two kits available, much more subtle than I usually go for, but I find that gives a very flattering and more natural looking brow. This would make the perfect kit for eyebrow beginners, or someone whose been on the hunt for a kit with a little less intensity. Overall I think it's a fab kit for the price and I've been reaching for it over my high-end favourites for days at home or days where I'm just popping into town quickly to run some errands. Of course, I think I'll always prefer my brows being bolder and darker, but when I want a more natural look this kit works wonders. I spent hours last night drooling over the Kiko sale only for the site to empty my basket and I got annoyed and gave up haha. I certainly need to get back on and order some goodies. This included. It looks like a great little kit for a reasonable price too. 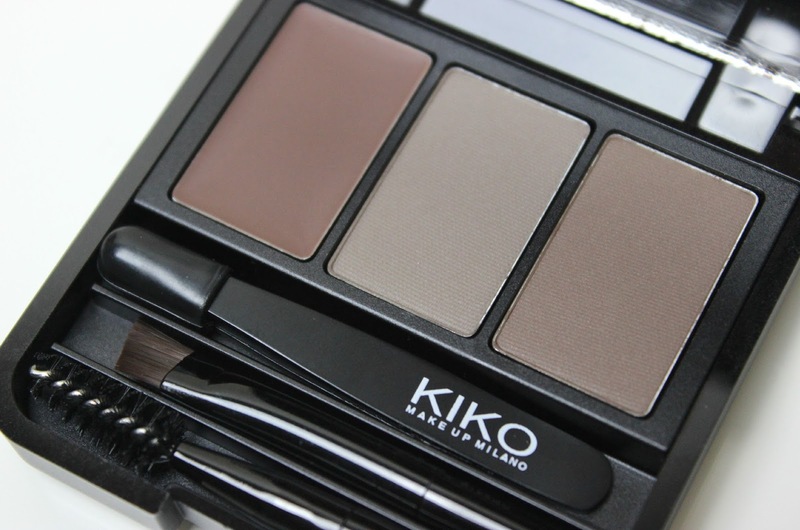 I've only tried a few Kiko bits, but this has gone right to the top of my to buy list!